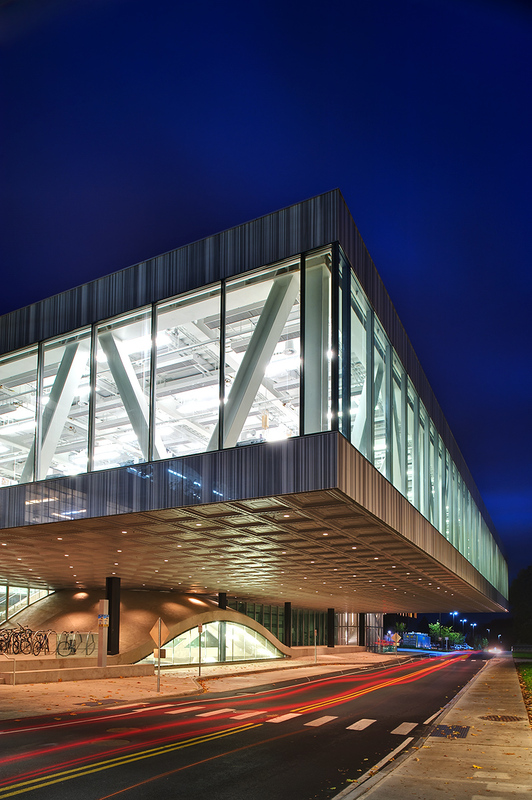 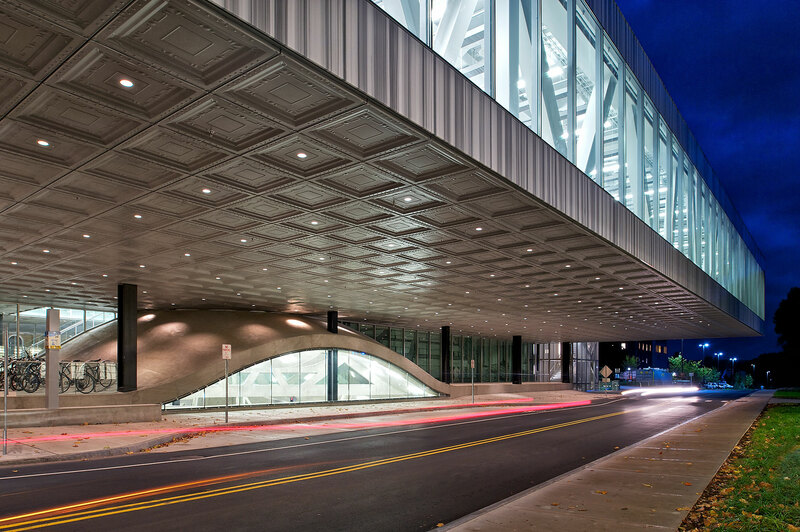 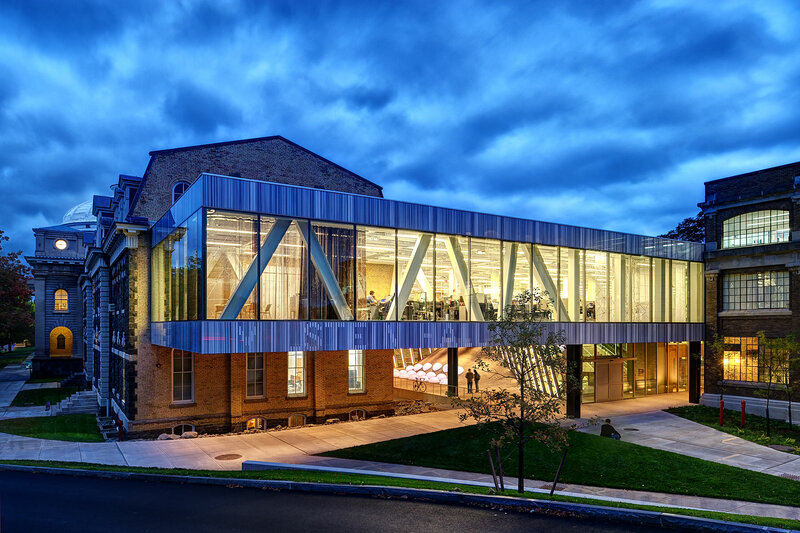 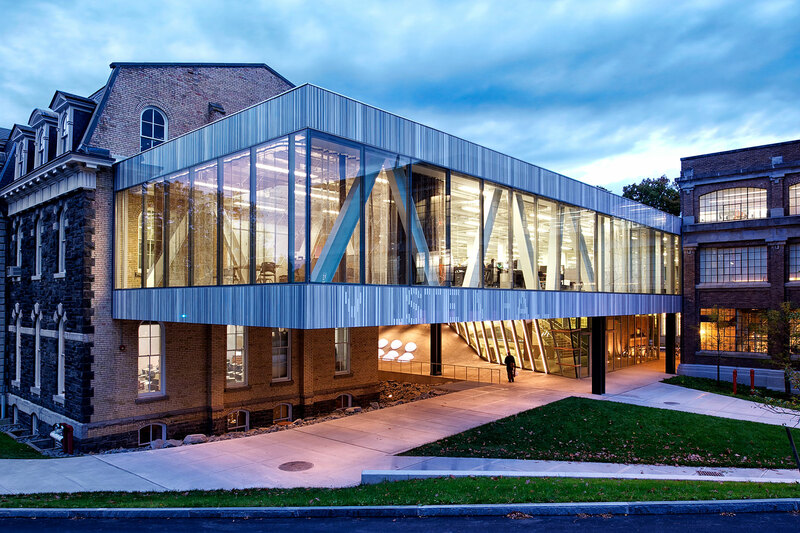 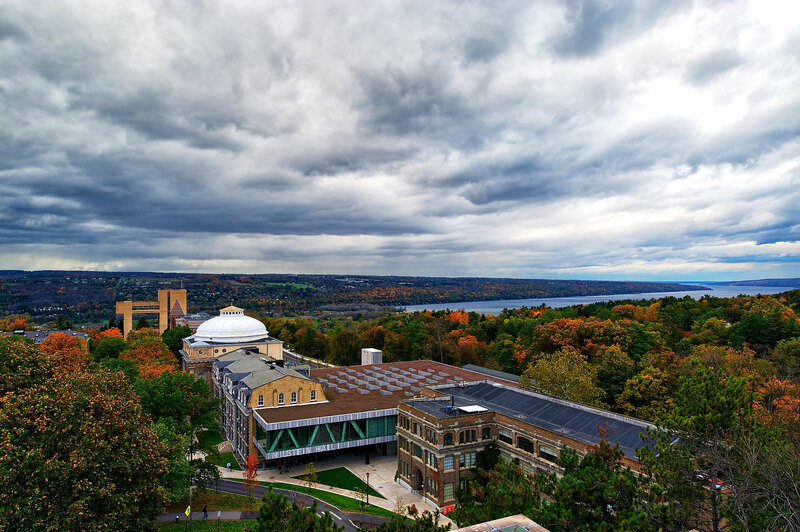 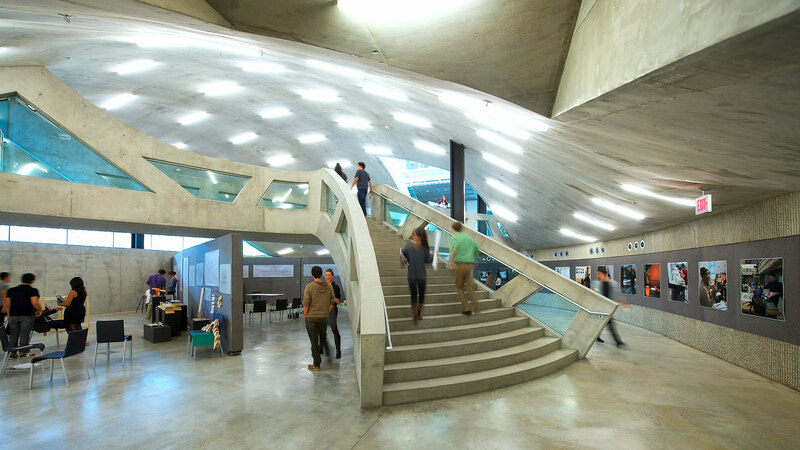 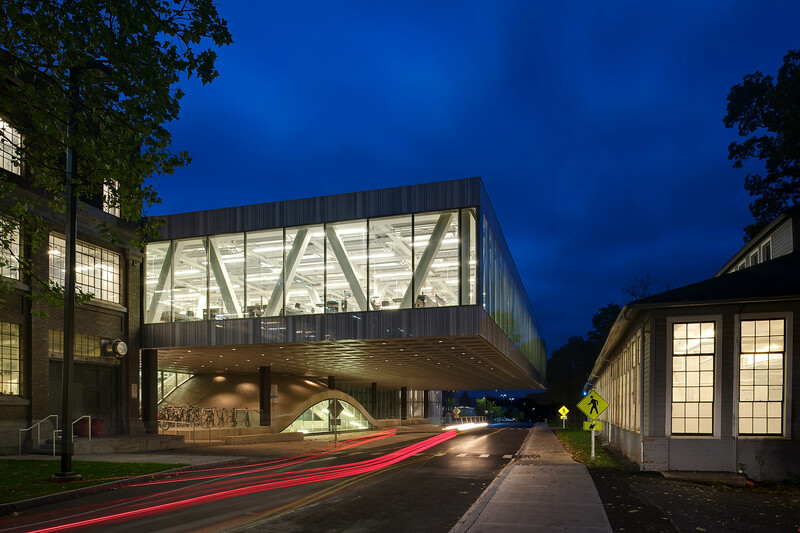 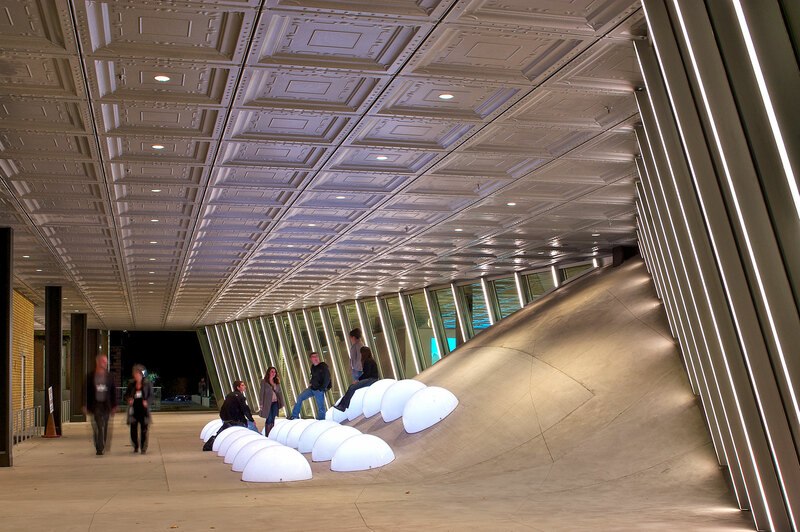 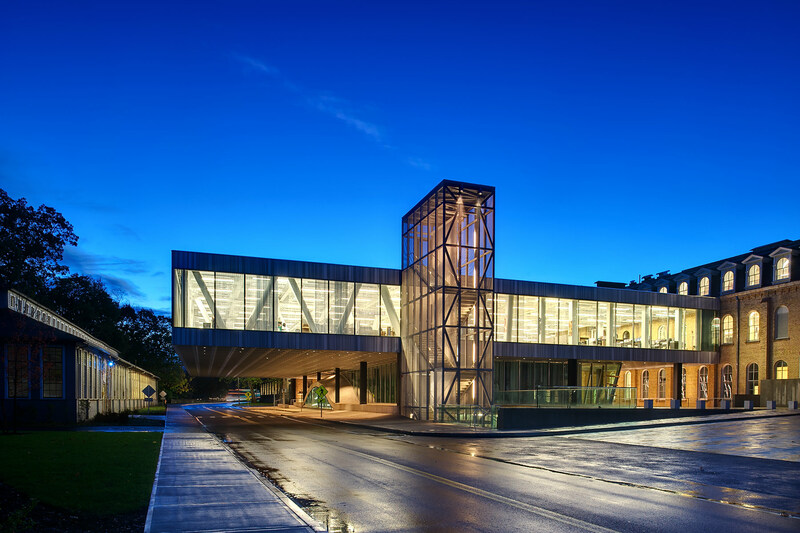 This addition to the Cornell University College of Art, Architecture and Planning helps to redress deficiencies in the existing facility by linking existing buildings serving the School and providing new types of spaces. 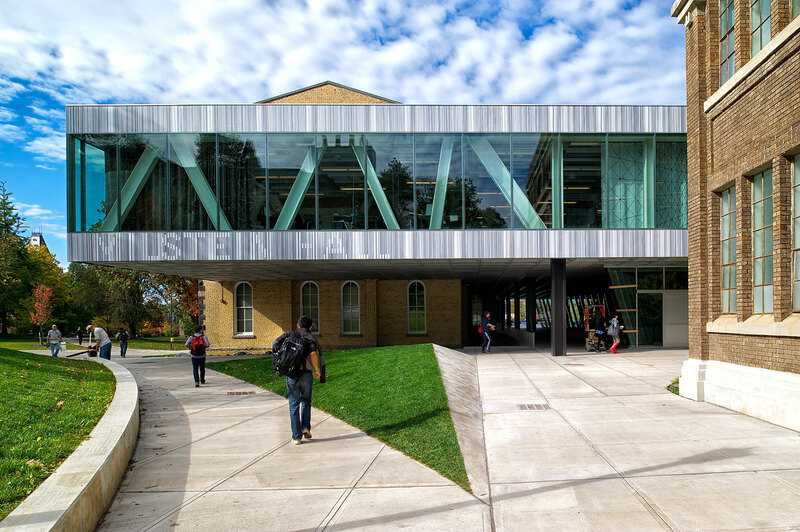 The new building ties into both Rand and Sibley Halls at the second level to combine all architectural studies into one facility. 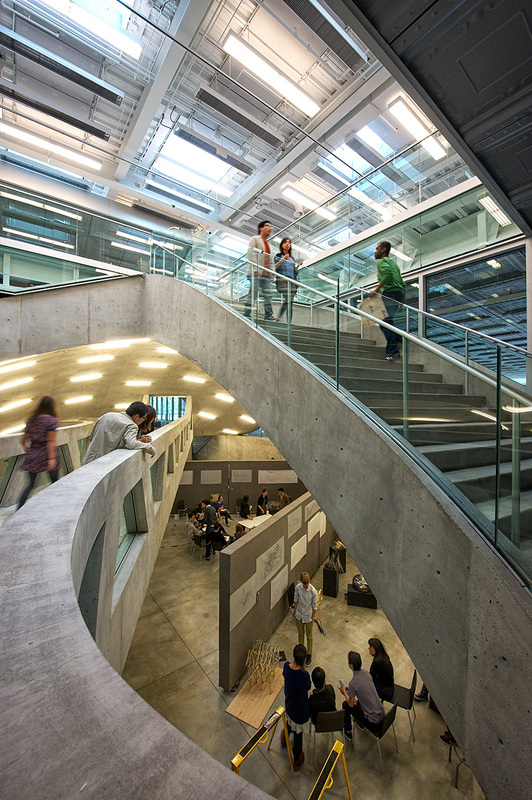 This new addition also provides a coherent entry sequence to the facility and a wide open central space that stimulates the interaction of programs. 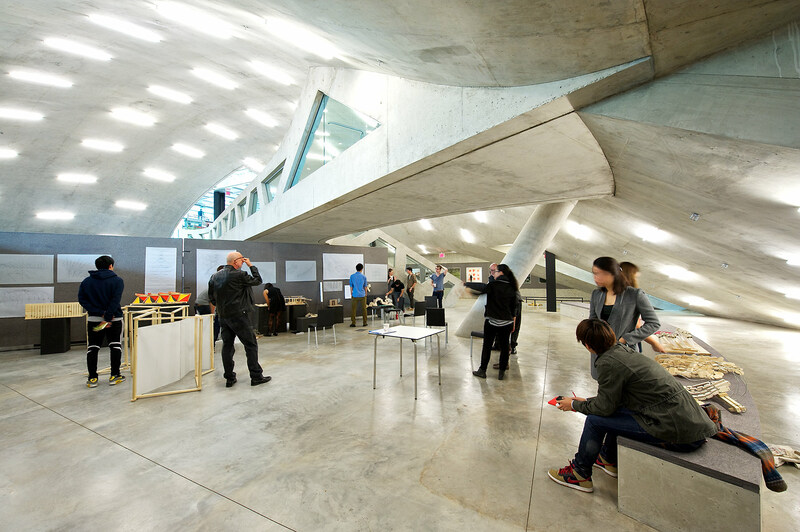 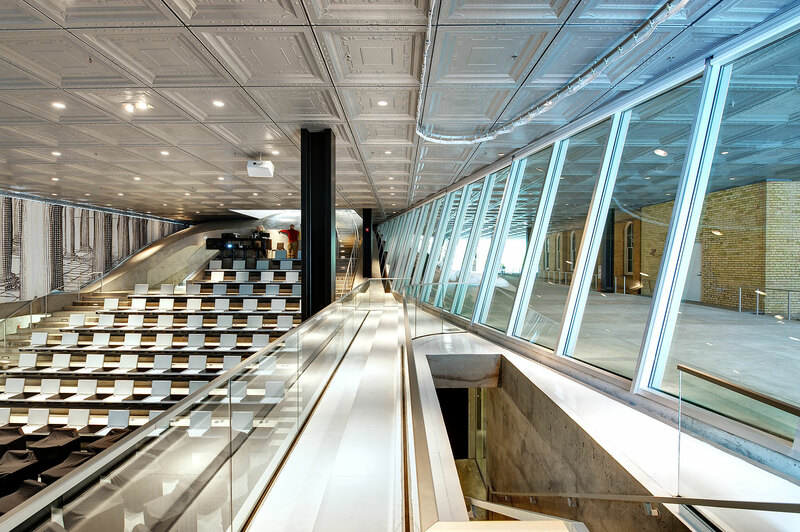 The much-admired historic Rand and Sibley Halls provide classroom and office spaces, but the facility had lacked the much-needed flexible studio, exhibition and critique space and auditorium provided in the very modern aesthetic of Milstein Hall. 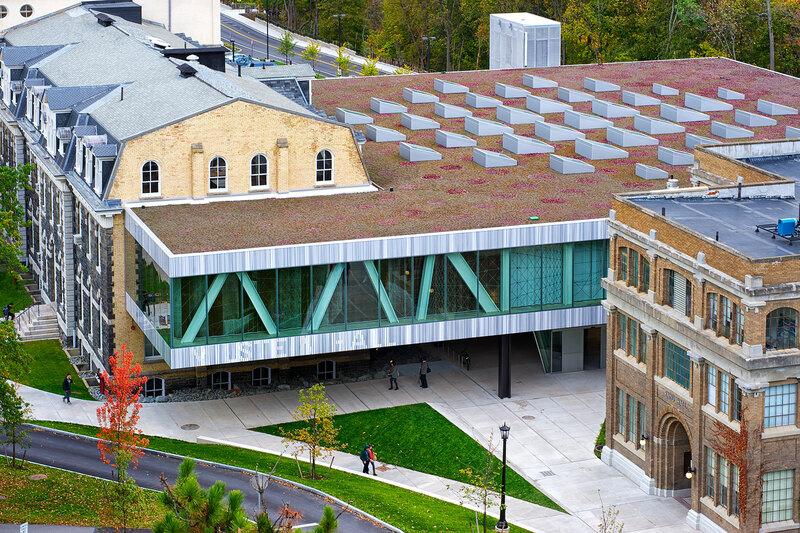 The occupants of the taller Rand and Sibley Halls overlook the lush green of the landscaped roof of Milstein Hall to views of a natural gorge below. 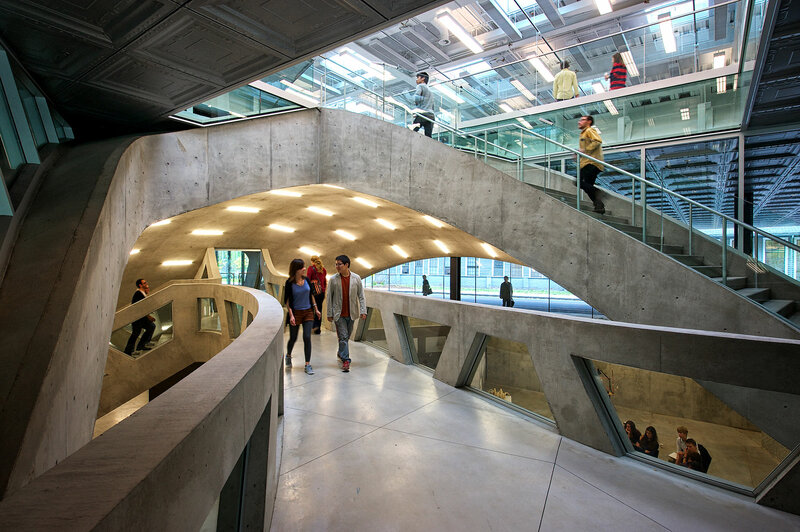 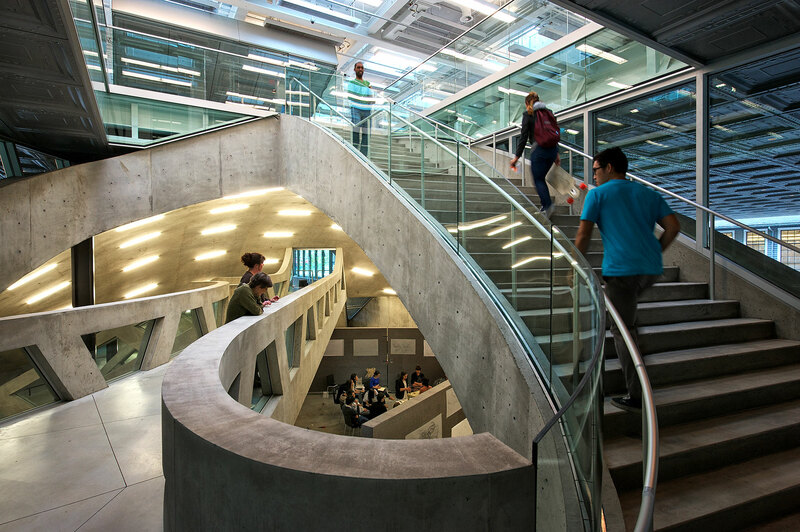 Skylights in the roof and floor-to-ceiling glazing help bring natural light into the interior spaces of Milstein Hall, creating a pleasant environment for work and creativity. 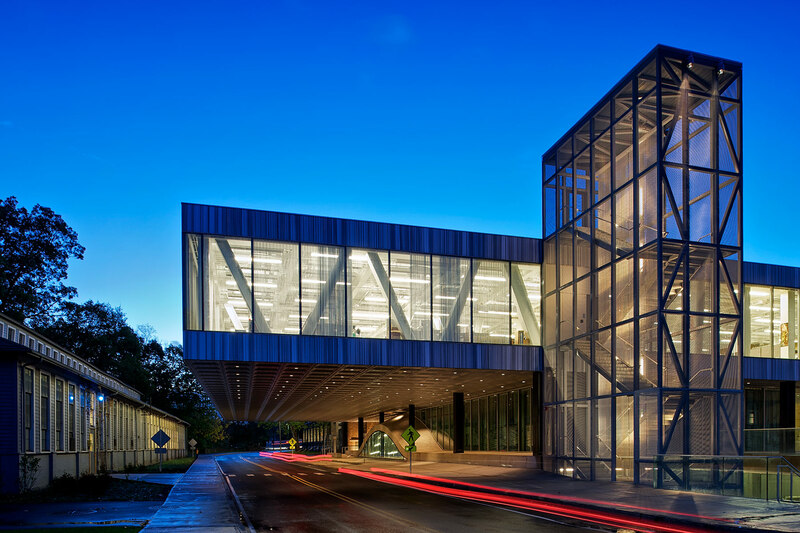 The project has received a LEED Gold certification.